Visit Charlevoix is excited to announce that the global travel company Expedia has recognized Charlevoix as the best place to travel to in October 2018. Expedia only chooses one destination each month; recognized as the most noteworthy place to visit. Charlevoix was named a premier fall destination due to the city’s dazzling fall colors, vibrant downtown, abundant recreational opportunities, and delightful attractions. 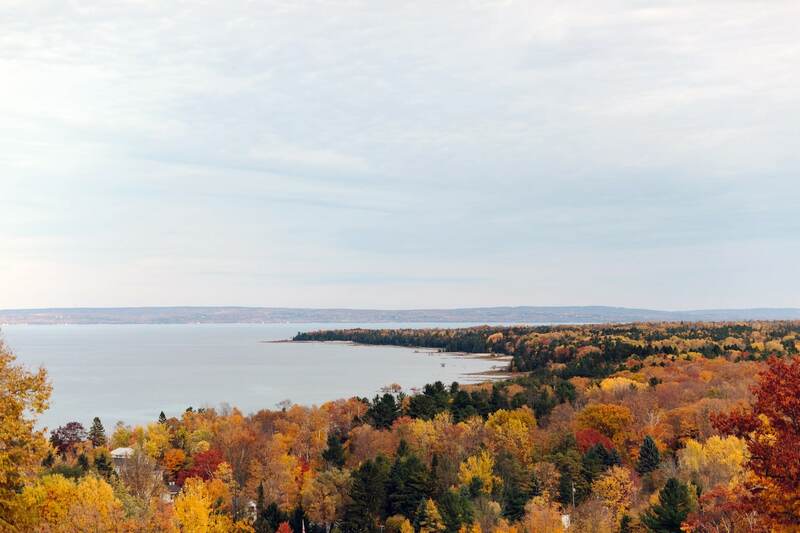 Take a driving tour through Charlevoix’s scenic countryside to experience its award-winning fall color. Tour maps are available online and at the Visitor Center (109 Mason St.). Celebrate the fall harvest, October 12–14, with Charlevoix’s annual Apple Fest. As the name implies, Apple Fest has more than 30 different varieties of apples from nearby orchards. Apple Fest has a tremendous farmer’s market to stock up on locally sourced produce, honey, maple syrup and delectable baked goods. Finally, stroll through the art and craft show, located in East Park and Bridge Park, where 150 vendors will be showcasing their exceptional handmade goods. Visit Charlevoix is a non-profit organization that promotes Charlevoix as a vibrant year-round travel destination. The organization wishes to thank Expedia for the tremendous honor and recognition that they have bestowed upon the Charlevoix community. Can’t wait to visit? Check out these September events near Charlevoix. Join Petoskey Brewing as we celebrate our anniversary with a great night of music, beer and food. Featuring live music by Joe Hertler and the Rainbow Seekers, Juice and more. We will be having a pig roast and discounted beer available all night long. The Great Lakes Chamber Orchestra presents our Composer-in-Residence, Gwyneth Walker. Widely performed throughout the country, her work is beloved for its energy, beauty, reverence, drama and humor. The Orchestra commissioned Walker to compose the Great Lakes Overture, which is part of a larger work, a cantata for chorus and orchestra entitled The Great Lakes. The overture was composed to celebrate the opening of the Great Lakes Center for the Arts in Bay Harbor. Tour eight stunning homes that run up Northwest Michigan’s gold coast from just south of Elk Rapids to Charlevoix and Harbor Springs. You’ll also want to visit Twisted Fish Gallery along the way for a lovely party.